Here is some awesome news if you like California wine: the 2015 and 2016 growing seasons were spectacular. Extremely dry conditions, no crazy spikes in heat or cold, no excessive rain during harvest – all of this contributed to excellent quality of grapes overall in Sonoma and Napa, and the wines which were made from these grapes are in stores now. What that means for consumers like us is that, generally speaking, most of the California wines we buy from these vintages will start from a baseline of quality; “a rising tide lifts all boats,” as it is said. 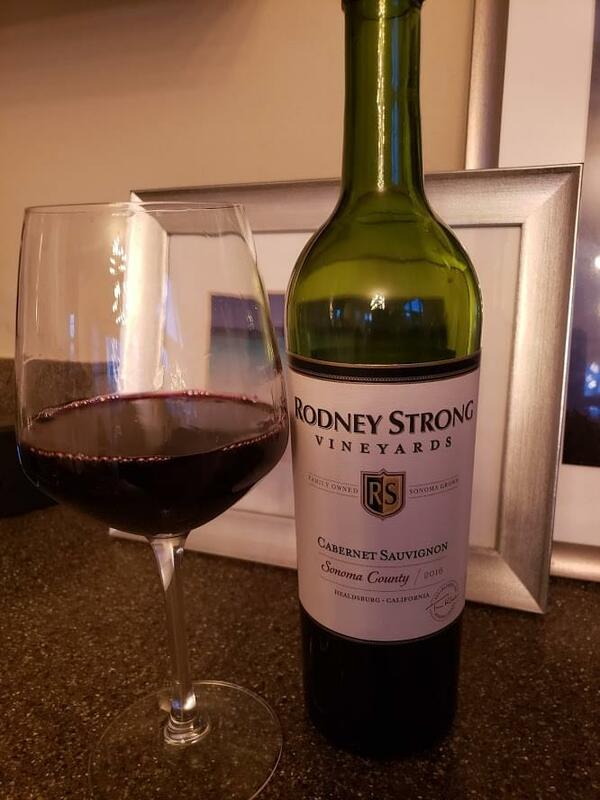 Rodney Strong Vineyards was named after former owner and celebrated dancer Rod Strong, but for the last 25 years has been owned and operated by the Klein Family, 4th generation California farmers, under whose guidance the winery has become one of the most respected operations in Sonoma. They were named American Winery of the Year back in 2013 by Wine Enthusiast! So you already know you’re getting a good wine if you buy Rodney Strong, but coupled with a stellar vintage, you’re getting something even more special. 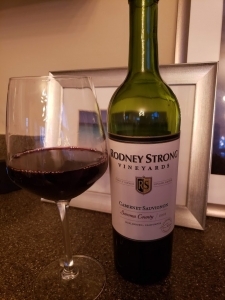 The 2016 Rodney Strong Cabernet Sauvignon has aromas of blackberry and cocoa, and rich, layered flavors of juicy black cherry, cedar, and plum. I like the structure of this wine – fruity, but balanced with fresh acidity and ripe tannins, and a lingering spicy finish with a touch of tobacco. Base price for this is around $20 per bottle, I have seen it for as much as $22 online, but right now it’s on sale for about $17 at Kroger. On my five-cork scale based on taste and value, the 2016 Rodney Strong Cabernet Sauvignon gets four corks. This is an excellent Sonoma Cab at a great price. Go try it before they raise the price! If you’d like to try interesting wines like this, please join me at our next private wine party at Sorrento’s Norwood Italian! I host a wine dinner there the last Wednesday of the month where we feature several interesting wines, each paired with a delicious course. There are always cool prizes to win, too, so listen Wednesday at 4:15 to win your spot on the guest list, or click here for a chance to win!